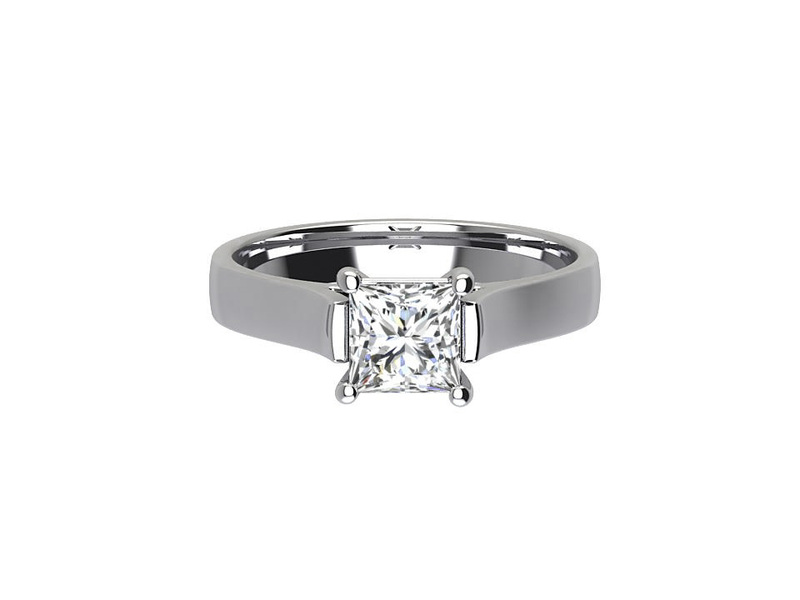 Platinum solitaire diamond ring set with a 0.61ct princess cut diamond in a four claw setting on a plain solitaire band. The band is platinum set with a platinum basket. 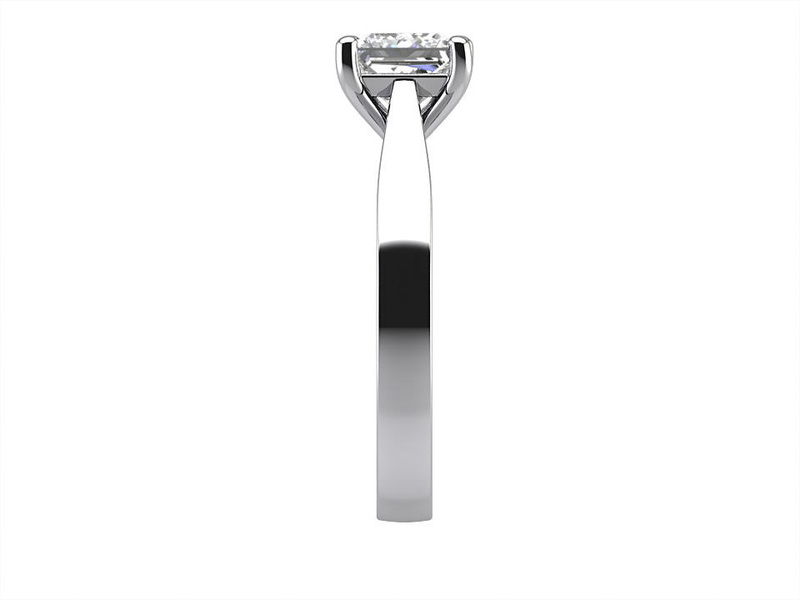 The centre diamond is IGI certified with F colour and Si1 clarity. 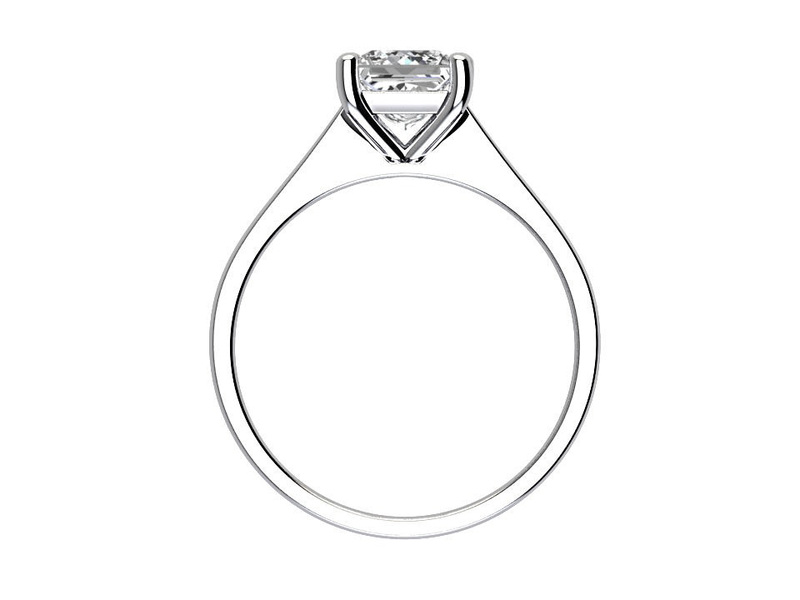 Please contact us to arrange an appointment to view our full range of diamond engagement rings in stock at our Dublin City Factory.